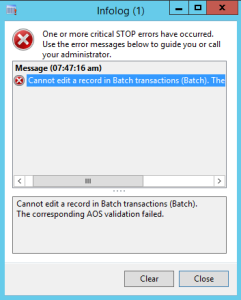 I’ve had it a number of times when trying to update parameters on batch job tasks that I’ve received the cryptic message “Cannot edit a record in Batch transactions (Batch). The corresponding AOS validation failed.” Due to laziness or business I’ve always dismissed the problem and found a work around, but never fully tried to understand why this message occurs. I’ve finally had the opportunity to drill into it and decided to share what I found. 1. The user doing the update must either be the person who created the record (createdBy field) or a person with access to the Display MenuItem “BatchJob” (see Batch->IsBatchOperator). (This does work for administrators who don’t have explicit access). 3. If the user doing the update is NOT the person who created the job then the parameters and Class of the task cannot be changed – this is the primary reason why we were experiencing the issue. 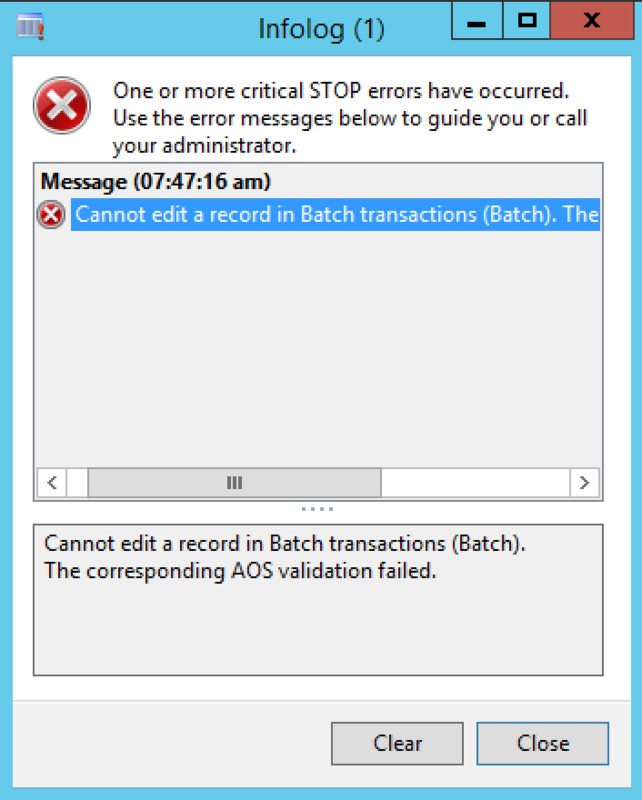 Notes: I’m not sure why the rule around changing the parameters exists, but it does, so if you want to change this then you would need to either login as the creator and change the parameters, or modify via SQL the batch task to run under your user in the case of historical batch jobs where the user does not exist. Its not really my habit in my blog to re-post or re-blog other users content, but rather to write up my own findings as I explore Dynamics AX. However this post is a bit of a worthy exception. If you have been in AX for an period of time you have most likely heard of Murray Fife and his very practical Companion guides to Dynamics AX. Right now you can download his “AN INTRODUCTION TO DYNAMICS AX 2012″ for free over here. It is highly useful material for anyone new to AX or even old hats looking for some new easy to use tips and tricks. I’ve been compiling some introductory basic training material for our company and this book will go along way in assisting me with this! Thank you Murray Fife for this awesome content. See his original post over here too. Its always a great opportunity to interact with other AX developers and have the opportunity to learn from each other. A few weeks ago I published a blog post on searching the AX AOT in code for objects with specific properties, after the post went out I got a comment on the post of a much easier way to search the AOT from the frontend, that for some reason I have never really noticed before. So here is a quick way to do an advanced search of the AOT using a real situation I encountered this morning. 1. Open an AOT and select the section of the AOT that you wish to search. Obviously the narrower the search the quicker it will be. I selected Security->Privileges. 5. 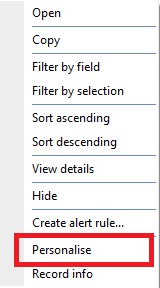 Right click on any field in the “Property” Column, Click filter by field. 10. Repeat steps 5-9 if you want to search for multiple properties. 12. You will now have a list of all the subobjects of whatever you selected in step 1 containing a specific property with a specific value. Note 1: You can also do some pretty neat searches using both the date and advanced tabs on this form so be sure to check them out too. I hope this helps somebody who like me has just overlooked this for years. Thanks Martin for the tip! I’ve recently moved into an environment with multiple load balanced AOSs that need to be controlled during code deployment and maintenance. If one needs to stop and start these services include either to logging into each machine individually or using the Windows services control panel to connect to the indivual machines to shutdown each AOS service. This will issue the commands but won’t necessarily wait around while the services are stopping or starting. Note 1: You will obviously need the necessary permissions on each of these servers to do these tasks. Note 2: The service name is the name listed under the properties (right click on the service, click properties) of the service not the one in the list of services. Description: One of the obvious requirements for installing Microsoft Dynamics AX is SQL Server which in turn requires the .Net Framework 3.5 to be installed as one of Windows features. However both the Windows feature installer as well as the download versions of .Net Framework 3.5 require an active intenet connection to Window Update servers even if you have the Windows install files. If you do not have this connection due to some reason like a corporate proxy etc installation can be big problematic. There is hope though. One can force the installation from the Windows disk using the following technique. 1. Insert your Windows installation disk into your computer or mount the disk image. 4. Press enter and .Net 3.5 will install. For diagnostics purposes it is often useful to search the AOT for all objects matching cetain properties. For example you may want to find all display menutitems that are pointing to a specific form. The below job illustrates how to simply traverse the Display Menuitems node in the AOT to locate all items who’s “ObjectType” is “Form” and object is a specific form name. E.G. “PurchReqTable”. Adapting this to search other nodes is as simple as changing the original node instantiation to search a different path as well as changing the AOTgetProperty() method to search through the properties relevant to you. A question that has come across on a number of occassions on the Dynamics Community forum is how can one allow the creator of a document to select an approver to approve the document. We did do a variation on this request for a client a couple of years ago, so here is one way to do it. 2. Allow the user to populate this field (either directly on the record’s form, or via a pop-up request) on submission. 4. Modify your configuration to use this participant provider. 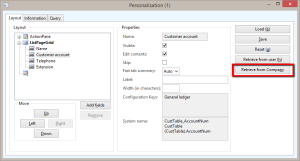 Open the AOT, Data Dictionary, expand Tables, locate PurchReqTable. Expand the node and expand the fields node. Open the AOT, expand the forms node, locate and expand the PurchReqTable node. Locate the Class behind your workflow’s Submit button. E.G. PurchReqWorkflow. 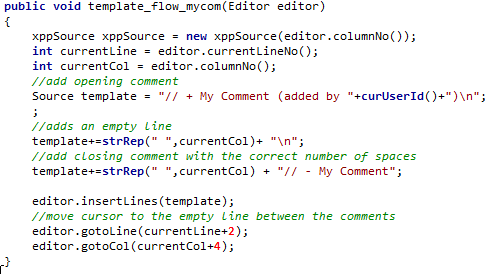 Before the code line “if (ret && purchReqWorkflow.dialogOk())’ add code to prompt the submitter to enter a user. Right click on the provider, click properties. Choose “No” under “available for all workflow types” as this provider assumes that a PurchaseRequisition is being used. 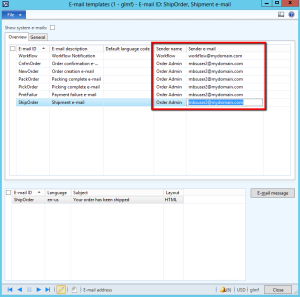 Perform a CIL compile and close and open AX client for your changes to take effect. Navigate to your workflow configuration and click “edit”. E.G. Procurement and Sourcing -> Setup -> Procurement and sourcing workflows -> Select PurchReqReview configuration. Locate the node that you would like to assign to your Chosen User. Click assignment in the toolbar. Click on the “Role Based” tab. Ensure you activate the workflow version you just created! All done! Test and enjoy! If you’ve got any blocks of code that you use frequently, e.g. 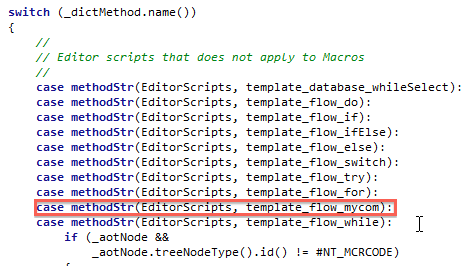 specific comment blocks, you can very easily add code short cuts in AX 2012 to auto-insert the them in to your X++ code. whenever you type “mycom” and press the tab key. How do you accomplish this. Very easily! Step1: Locate the class EditorScripts in the AOT. Thats it, now if you type your shortcut into any editor in AX and press tab, the “\\test comment” code will be inserted. Problem description: Form parts in Dynamics AX usually make use of linked data sources to activate changes. However there may the case that your form part does not have a direct datasource link to the parent form or simply needs to activate code to populate the info displayed. In this case one needs a mechanism to call code on the form part when the record on the parent form is changed. Solution: To resolve the issue one needs to create method call-backs between the two forms. Two approaches need to be followed based on whether the form part has been added to a list page or to a normal form. Create your form and form parts. This method will allow your form part to provide a reference of itself to the main form. On your form part’s init method. Call this method register call the above method passing itself as a reference. Note: you will need to perform step #4 on all forms that will use this form part. 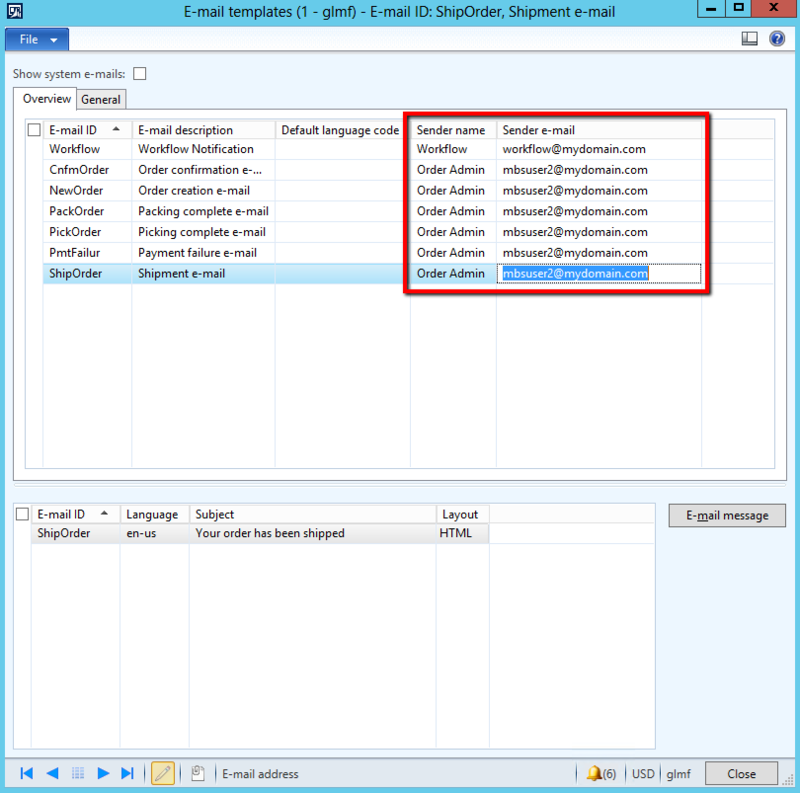 On your form part create an doRefresh method, your main form will call this method whenever a form part refresh is needed. This method can have an parameter that your would like the main form to pass through. In this example we will pass the active record from the main form E.G. //Do custom form part refresh. Finally, on your main form, call the the method in #6 at the appropriate time. In this example calling “part.doRefresh(myTable);” in the myTable datasource’s active method works well. You could also do your call from a button on the main form or on any other trigger. If you are planning on using the form part as part of a list page. You need to make the following adjustments. For step #5 detect whether your part is being called from a ListPage or a normal form: E.G.